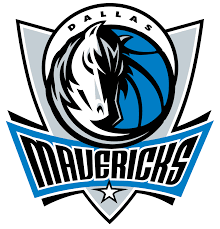 DALLAS (AP) — Dwyane Wade scored 22 points in what figures to be his final game on the court where he won his first championship, helping the Miami Heat beat the Dallas Mavericks 112-101 Wednesday night. Nowitzki and Wade, both added to this weekend’s All-Star game to recognize their decorated careers, entered the final game before the break together midway through the first quarter, which eased the boos on a Wade farewell tour that has been well-received everywhere else. There were some boos as they took the court, but those were quickly drowned out when many in the crowd stood and cheered. That’s been the consistent reaction from fans whenever Nowitzki enters games — home and road. Fans probably still remember the video of Wade and LeBron James faking coughs while leaving the Mavericks’ arena after losing Game 5 of the 2011 Finals when Nowitzki, who was sick before the game, hit the winning shot. Dallas took Game 6 in Miami to win the series. For those who forgot, there were plenty of Twitter posts before the game noting the irony of Wade missing Miami’s shootaround because of an illness in what should be his final Dallas appearance. Wade, who went on to win two more titles with James, was healthy enough to play, and had some vintage moments in the first half. He hit a 3 over Nowitzki before the 40-year-old answered him with his familiar one-legged fadeaway over Wadeat the other end. Heat: Finished with seven players in double figures. The others were James Johnson with 12 points and Kelly Olynyk and Bam Adebayo with 10 apiece. … Richardson and Winslow had six assists each.